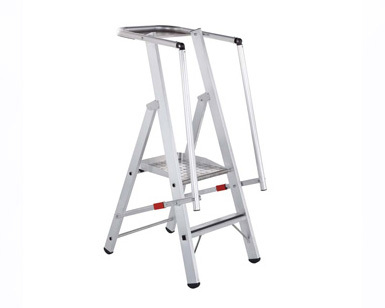 Large standing surface 665 mm × 440 mm, with guard rail and knee bar, ensures maximum work safety and comfortable standing. 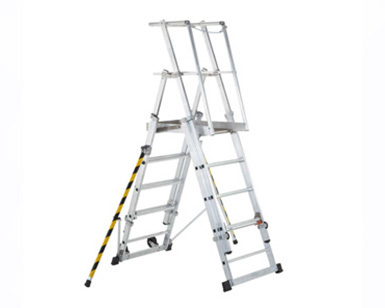 Very easy to erect – handrails and guard rails are automatically unfolded during erection. Equip Order No. 41328 with 4 ballast weights for outdoor applications. Stable according to the requirements of BGI 637 with swung-out stabilisers.